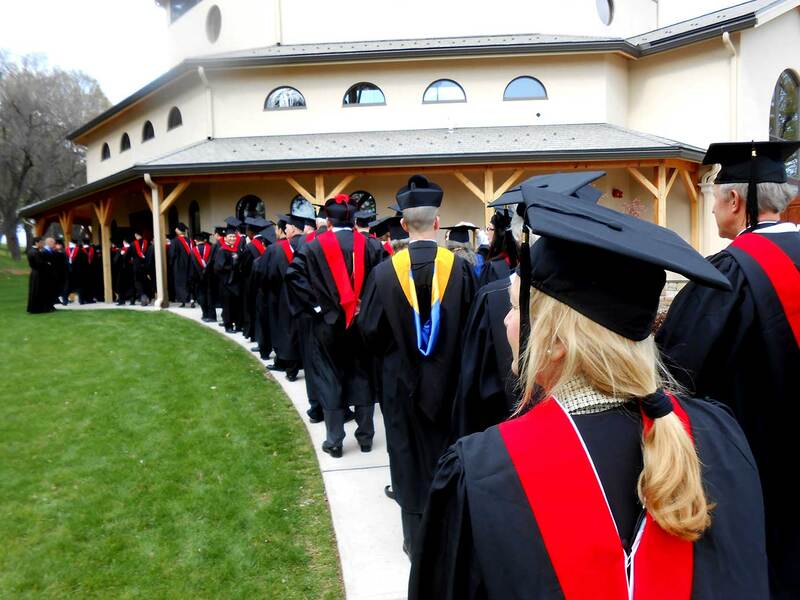 Below is detailed information for Holy Apostles’ May 4th, 2019 Graduation Commencement, along with the Graduation Day Schedule, and Graduation Response Form. Please complete the requested information and return the Response Form to Margaret Gunn at mgunn@holyapostles.edu by March 18, 2019. To have your name entered on the Graduation List I need to have a completed Graduation Application from you in my file. September 15, 2018 Graduate – Margaret Gunn has your completed Graduation Application. May 4, 2019 Graduate –Please email Margaret Gunn a completed Graduation Application by March 1, 2019, to have your name entered onto the Graduation List. Should you need to confirm that Ms. Gunn has received your completed Graduation Application, you may contact her at mgunn@holyapostles.edu. Online Learning graduates and guests interested in a Campus Tour, indicate as such on the Graduation Response Form. Report to the Lobby in St. Peter’s Hall at 8:45 a.m. on Graduation Day, May 4th, 2019. Our Campus Tour Guide will greet you and your guest(s) at 9:00 a.m. Please be prompt, as tour commences as scheduled. Several Online Faculty and Staff members invite On Line graduates and their guests to join them in the Alumni Room for lunch at 11:00 a.m. Please allow yourself enough time, as Rehearsal is scheduled for 12:45 p.m. Please obtain your lunch prior to advancing to the Alumni Room. Seminarians: The Business Office will send out invoices to your diocese for payment. On Campus and Online Graduates: Please make your payment through Populi. N0TE: To receive your diploma and transcript, all Academic and Financial obligations must be completed. Graduation attire can be retrieved at St. Peter’s Hall-1stfloor, Main Office-Room 101. Thursday, May 2, 2019 10:00 a.m.- 4:00 p.m.
Friday, May 3, 2019 10:00 a.m.- 4:00 p.m.
Saturday, May 4, 2019 8:30 a.m.-12:30 p.m. NOTE: Return your gown and hood PRIOR to attending the Reception. Instruct your guests to proceed directly to the Main Dining Room. Graduates only proceed directly through the Main Lobby to return your gown and hood (on a hanger). Graduates that already received their diploma (September graduates), please return Blue Binder at that time. Gown and hood must be returned on a hanger-NO EXCEPTIONS! You may keep your cap and tassel. 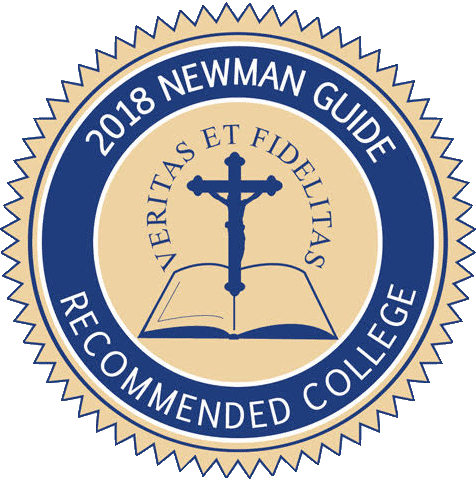 Graduates that have already received their diploma from Holy Apostles in September, 2018 please return Blue Binder, given at the graduation ceremony. Graduates receiving their diplomas on May 4th, please keep the Blue Binder as your diploma will be mailed to you. May graduates can expect their diploma via US Postal Service within the month of June, 2019. Mrs. Mary Regan, Rehearsal Director, will be conducting the rehearsal on Graduation Day. Rehearsal will commence at 12:45 p.m. in St. Andrew’s Classroom. All graduates are expected to attend rehearsal. Please do not bring your graduation attire with you at this time. At 4:00 p.m., directly following Baccalaureate Mass, please return to St. Andrew‘s–Classroom with your graduation attire. Staff will assist you with your attire and Mrs. Regan will assist graduates with the line-up. Graduates will then line up to proceed to the Chapel. Graduation will commence promptly at 4:30 p.m. Once the Chapel has been set up for graduation, guests may enter. Immediately following the graduation commencement, you and your guest(s) are invited to the Graduation Reception to be held in the Dining Room of St. Peter’s Hall located on Holy Apostles campus. Graduates, please return the enclosed Graduation Response Form no later than March 18, 2019, indicating the number of your guests that will be attending the following activities: Graduation, Luncheon, Reception and Campus Tour. We have limited seating, but will try to accommodate family members and close friends. To help with the many responses I receive, please create a new email to me attaching the completed Response Form. The following hotel has quoted Holy Apostles a special graduation rate. Please mention Holy Apostles’ graduation in order to qualify for the rate listed. WHEN MAKING A RESERVATION, MENTION HOLY APOSTLES GRADUATION TO RECEIVE DISCOUNTED PRICE. The nearest airport is Bradley International (Hartford/Springfield) Airport located in Windsor Locks, CT. Response Form Click Here The Response Form is a fillable form which may be completed by typing in your response, saving the file once complete, and emailing it to Margaret Gunn upon completion. You may also print and mail the form if more convenient. Should you have any questions or concerns in regard to graduation, the best way to contact Margaret Gunn, the Graduation Coordinator, is by emailing her at mgunn@holyapostles.edu or completing the contact form below. You may also call 860.632.3010 and she will get back to you as soon as possible.